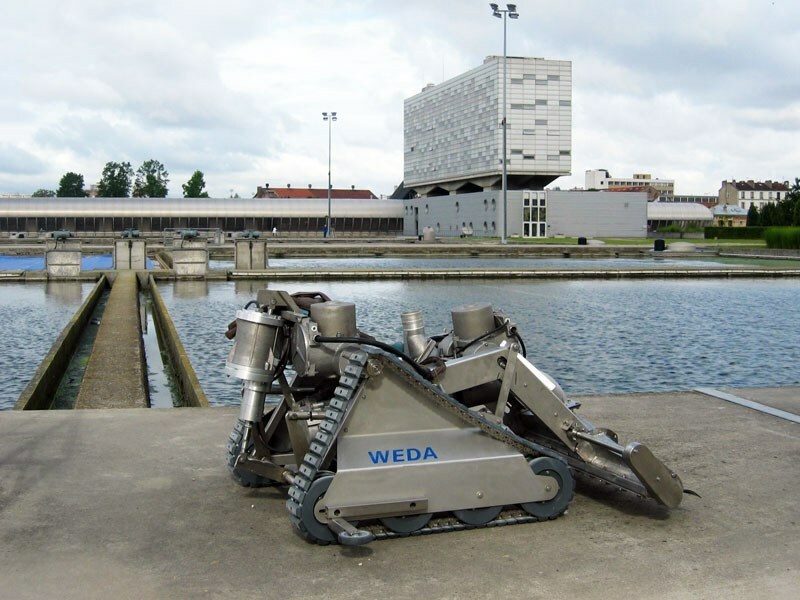 The YT-800 is an electricity-operated remote controlled submersible robot for cleaning large underwater surfaces, such as the bottom of a sand filter. The powerful pump and wide nozzle make it possible to clean large areas in a relatively short time. 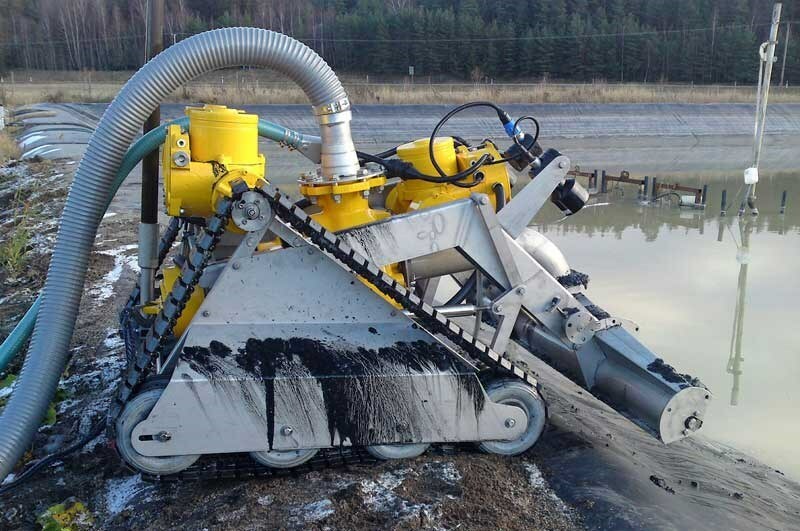 The sediment is pumped through a hose to a designated point of discharge, such as a sand treatment station. Traditional cleaning using loading machines, conveyor belts and such require costly investments and manual filter cleaning is very labor intensive. Both methods require that the filter is drained and taken offline. With the YT-800, cleaning can be carried out during full operation. Easily operated by one person, the YT-800 is remote controlled using a radio hand box. The vehicle can be equipped with underwater cameras to facilitate long-distance operation from a van or operations room for example. Using the YT-800 reduces cleaning costs and does not interrupt distribution. YT-800 has only electrical motors and uses no dangerous oils or chemicals that can damage the filter. 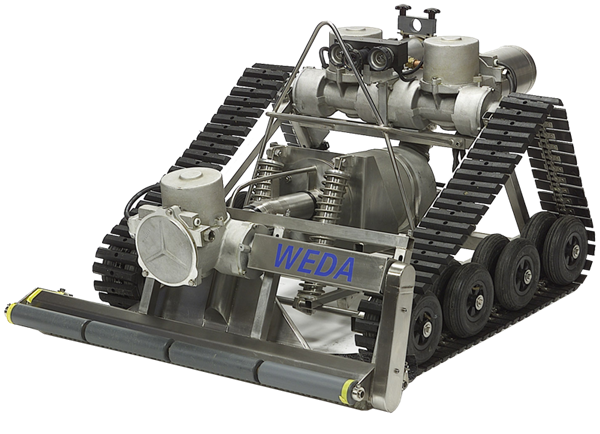 Other applications for the YT-800 include cleaning infiltration dams and surface cleaning large outdoor basins.